Thank you very much Betty and Hitesh for your awards.. I know I have to announce few more but have no clue where I had seen them. Please if you see this send me a reminder. I love the awards. Life has been very hectic for the past few months and it is will be so until June 2nd when I finally finish with my last exam which is starting from May 3rd. Betty has been a very good supporter and loving commenter on my blog. She is a very good friend to me and I feel lucky to have met her. When I was almost thinking of giving up blogging she came with her wonderful encouragement which made me stick to this wonderful hobby. You will be glad to be on her blog .. so do not miss Cut and Dry. Thank you Hitesh for your award. You have been a good new found blogging buddy. Hitesh writes wonderful reviews on films which is way better than the ones I see in news papers. He has made me watch few wonderful movies which I had missed. He recently stood 3rd in the contest held on Indivine. Visit him on The Way It Is. 1. Share 7 things about yourself that people don't already know. 2. Pass the award on to 7 blogger friends. Seven things about myself that you may not know..
1) I have learned everything about computers and net from computers itself without anyone to guide me.. other than my brother who showed me to switch it on. 2) I used to be a great fan of WWE and F1 racing. 3) I have lost my panic somewhere in life and I miss it. 7) The person I miss the most is my sister who I lost to breast cancer... Sigh!!! 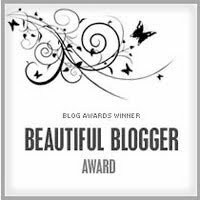 Thank you very much my blogging for the support you show to me.. You will never know how much this means to me..
Oh, Farila, you do deserve many awards!!! Well, #3 cracked me up!LOL! #4 we are exactly alike. A bunch of thanks for your lovely words! Have a great day, my dear friend! Congrats on your awards!! 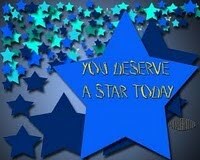 You deserve them all!! Congratulations to you..you deserve them. and thanks for including me in the list. Congrats on the awards. Hooray! BTW, I liked WWE too. That was until, I tried a move and sprained my neck! "I used to be a great fan of WWE and F1 racing." Take care and congrats once again. why don't i know about this.....???? Farila, I didn't know that you'd given me an award. Thank you! My kids have kept me very busy lately, and I haven't had my "blog reading" time, so I've missed a lot. You are very kind to include me. Congratulations to you too! Your readers (including me) think you are special too.